Av is in her final week of school and just got home from a trip to Washington, D.C. So I stepped in to make this funky tank top. 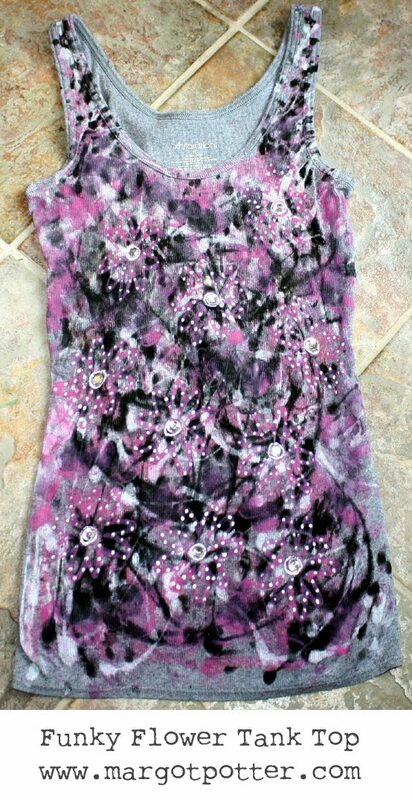 This was my second painted shirt attempt from yesterday; the first one was so horrid it ended up becoming the paint rag. By the end of the day, I was starting to think this was heading for the ‘craft fail’ bin too, but now I’m kinda liking it and Av really liked it. Craftastrophe or crafty triumph...sometimes it’s a fine line, people. If you really get into a pickle, you can always cut the fabric up and use it for another project or, as I did with shirt number one, turn it into a colorful rag! I used the Paint Canon paints to do a Jackson Pollack influenced splatter background and then the flower stamp added a little touch of girly whimsy. Still...it needed something...so out came the dimensional paint and some faux gemstones. 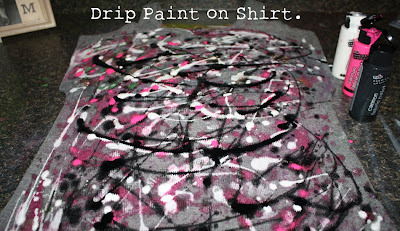 What was cool was the fabric was so wet, the dimensional paint sort of faded into it in spots. The key here is to really get it layered without letting it get muddy and to keep dabbing as you work. Ideally you’d dry between layers, but I was in a crunch for time, so layers just kept going on and the shirt kept getting wetter. A lot of my best ideas come from being willing to make glorious messes and ultimately, there are no craft fails, except for the failure to craft. 1. Wash your shirt first. Slide the form inside of your shirt. 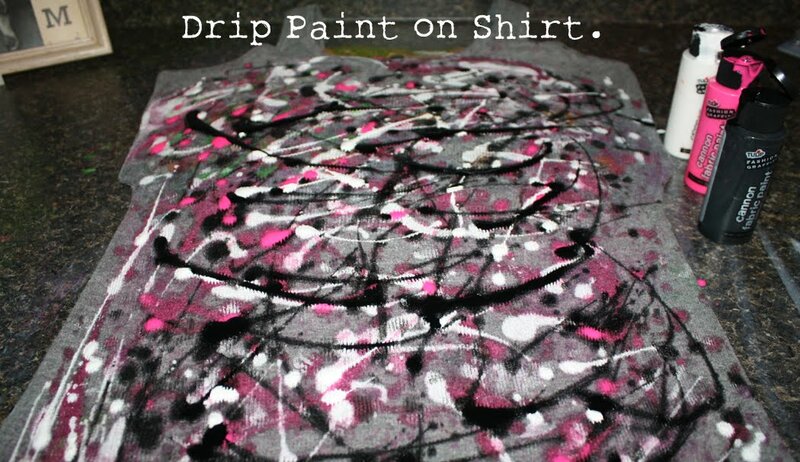 Use the paint canon paints to drizzle and drip layers of paint straight from the bottles. As you work, dab excess and keep layering and dabbing until you are happy with the results. 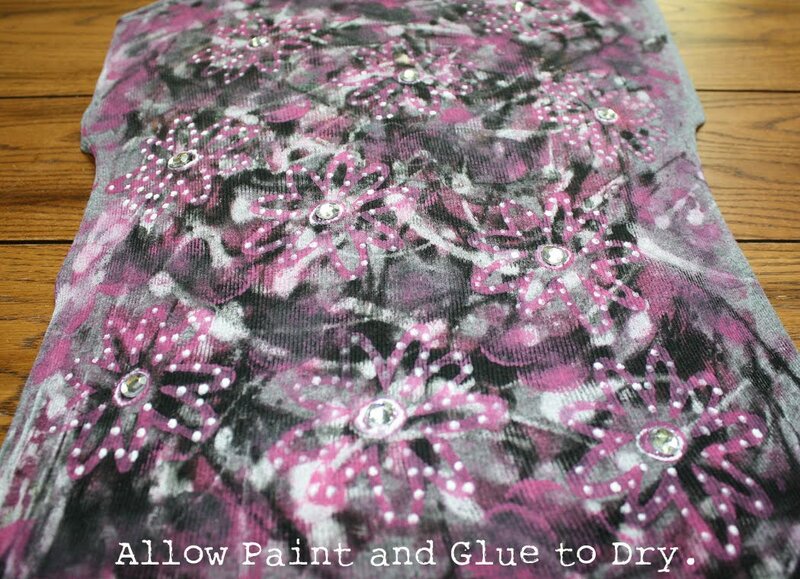 Allow to dry or leave wet while moving to next step for a more faded look. 2. Apply pink paint to stamp with foam applicator. 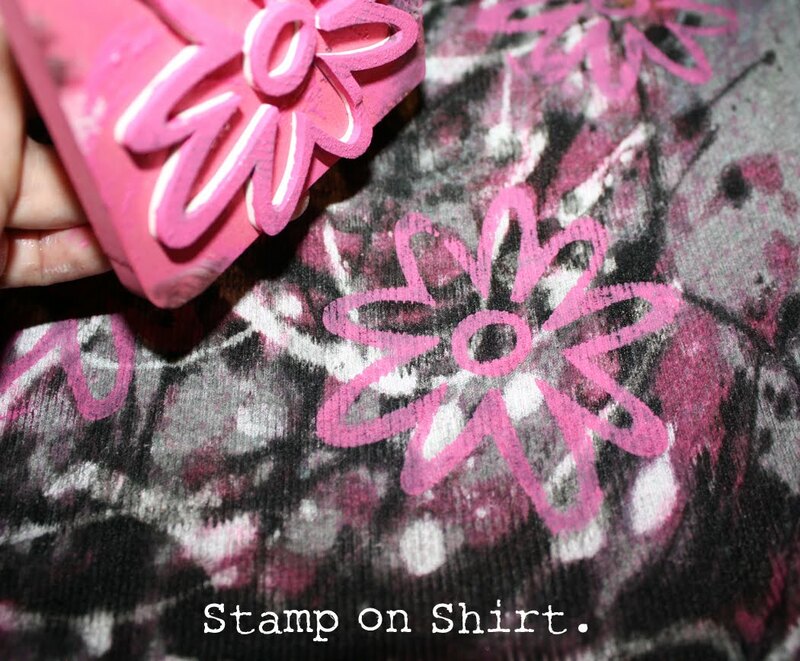 Stamp flowers randomly on front of shirt. 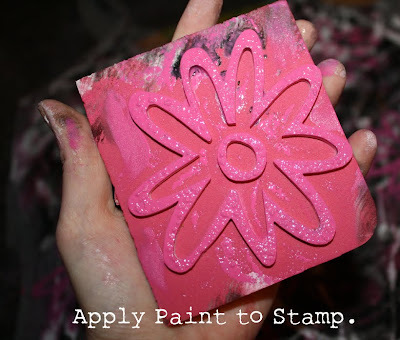 Use a pouncer to add pink paint on spaces between flowers for another layer of color. Allow to dry or leave flowers wet for more faded dots. 3. Use dimensional paints to add dots around flower petals. This is not meant to be perfectly perfect, vary spacing and placement. Add a white ring to center dot on each flower. 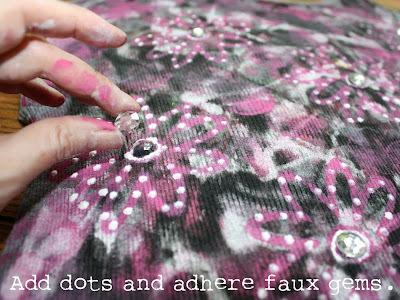 Carefully glue faux stones to center of each flower using Fabric Fusion. Allow to dry before wearing. The top is beautiful - I absolutely love the color. my grand daughter is going to love helping me make this for her. I'd love to see a pic if you make it! Thanks, Ethan and Damama! Very Funky and Beautiful! Loved your design for teen! You are very creative! Great designed tank top.